A conversation with Anchor Brewmaster Mark Carpenter about Anchor’s first winter seasonal. For the first time in Anchor’s history, and the first time in the 40 years we’ve been brewing our annual Christmas Ale release, we’ve doubled down this year and introduced our newest seasonal beer, Anchor Winter Wheat™. 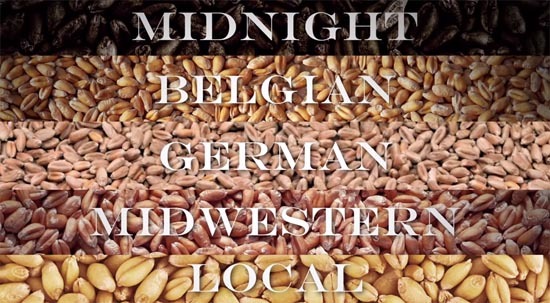 We’ve been making wheat beers since the summer of 1984. They’ve all been golden summer refreshers instead of dark winter warmers—until now. Anchor Winter Wheat (7%ABV) is made with a unique blend of malted barley and five wheats from Belgium, Germany, the Midwest, and a family farm just 75 miles from the Anchor Brewery, where we get our soft red winter wheat. Sown in November and harvested in June, soft red winter wheat is used in artisanal flatbreads, cakes, and pastries. Anchor Winter Wheat’s unique blend of 2-row pale barley malt, Belgian roasted wheat malt, German pale spring wheat malt, “Midnight” and hard red wheat malts from the Midwest, and unmalted soft red winter wheat from Northern California give the beer its robust flavor, malty complexity, enticing aroma, ebony color, and thick creamy head, reflecting the delicious heritage of winter wheat in the Golden State. The result is a smooth, complex, dark brew with a creamy, lacey head; deep, rich mouthfeel; nutty, bread-like, and subtly roasted flavors; and a crisp, clean finish. Special ale yeast provides clean flavors with hints of dark fruit, and a single hop – Northern Brewer – provides earthy, woody, and minty notes with just the right amount of bitterness. 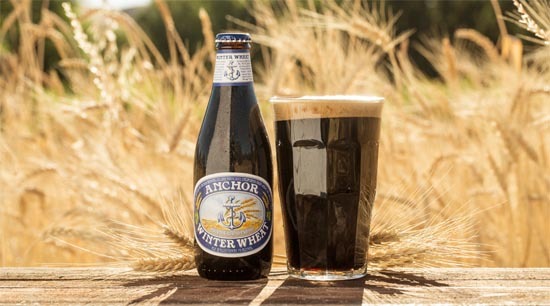 And while you’ll see Anchor Winter Wheat at bars, restaurants, and retail stores alongside Anchor Christmas Ale, Mark notes that the two beers complement one another rather than compete. To wet your whistle before a meal, try Anchor Winter Wheat alongside an appetizer of dates stuffed with prosciutto. If the main course is up, something with a dark fruit glaze, charred or roasted cooking method such as a beef dish, braised pork ribs, lamb shank, or charred steaks topped with butter and au jus would be a nice complement to the rich texture and robust flavors of the beer. Anchor Winter Wheat is even built to accompany your sweet tooth. Let the chocolate flavor from the malts and the soft, rounded mouthfeel from the wheat bring out the flavors in a dessert that uses chocolate, brown butter, caramel, toffee or maple syrup. Use our Beer Finder to search for Anchor Winter Wheat near you, or ask for it where you purchase other Anchor brews.